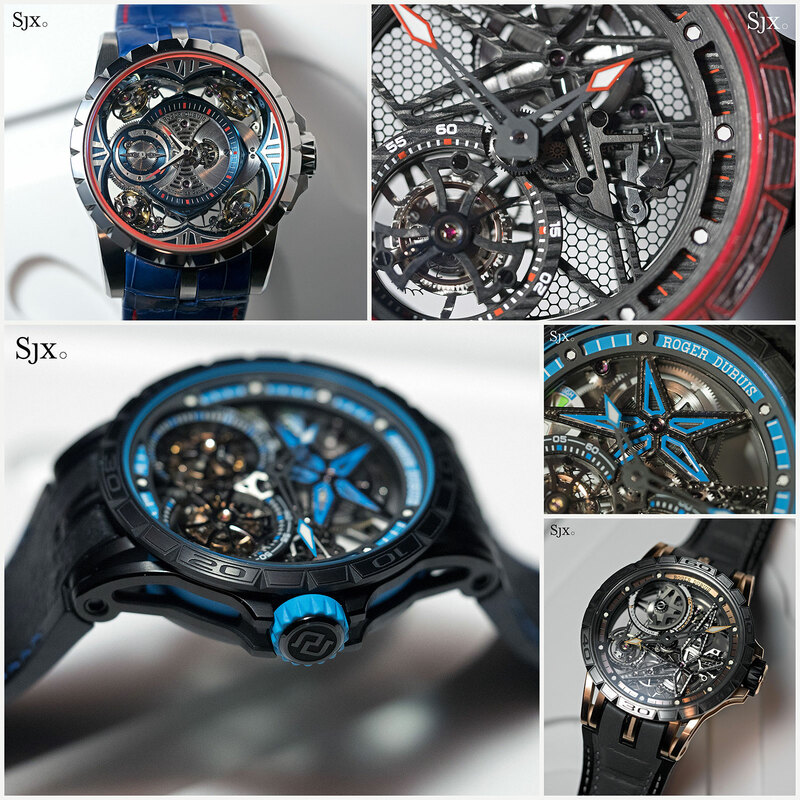 The line-up includes several well-priced complications, including a tourbillon for less than US$30,000. 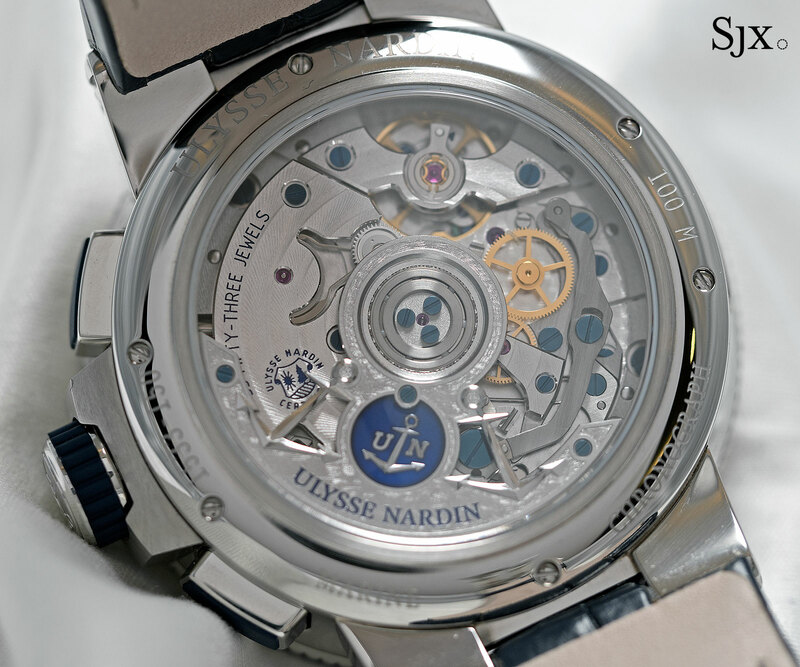 Ulysse Nardin has historically excelled at producing interesting movements, often inside watches with idiosyncratic designs, the legacy of its late owner, Rolf Schnyder, who had a distinct aesthetic vision. 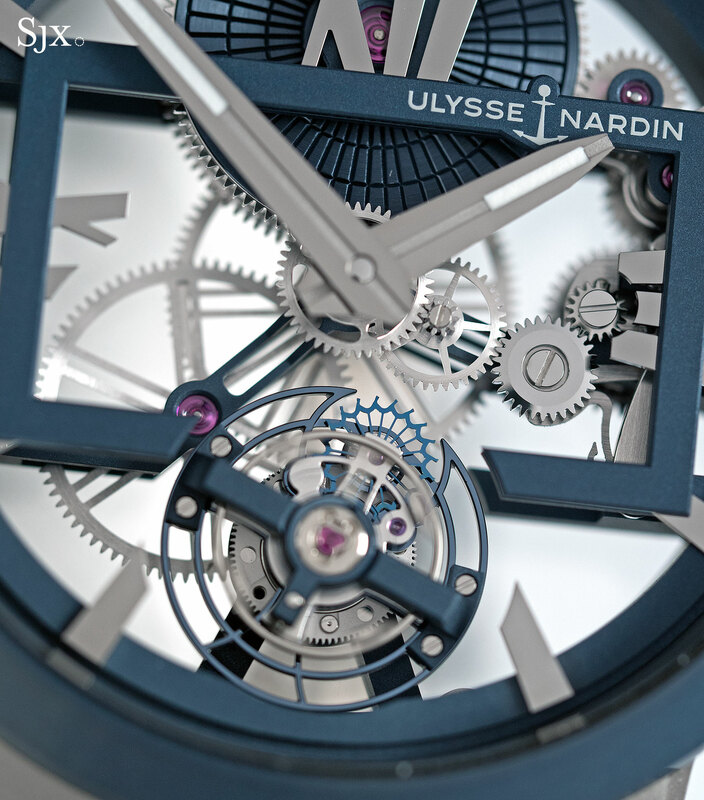 Now owned by luxury conglomerate Kering, Ulysse Nardin has evolved into to posses a more palatable house style, exemplified by the line-up unveiled at SIHH 2017, which also benefits from well conceived movements and affordable pricing. 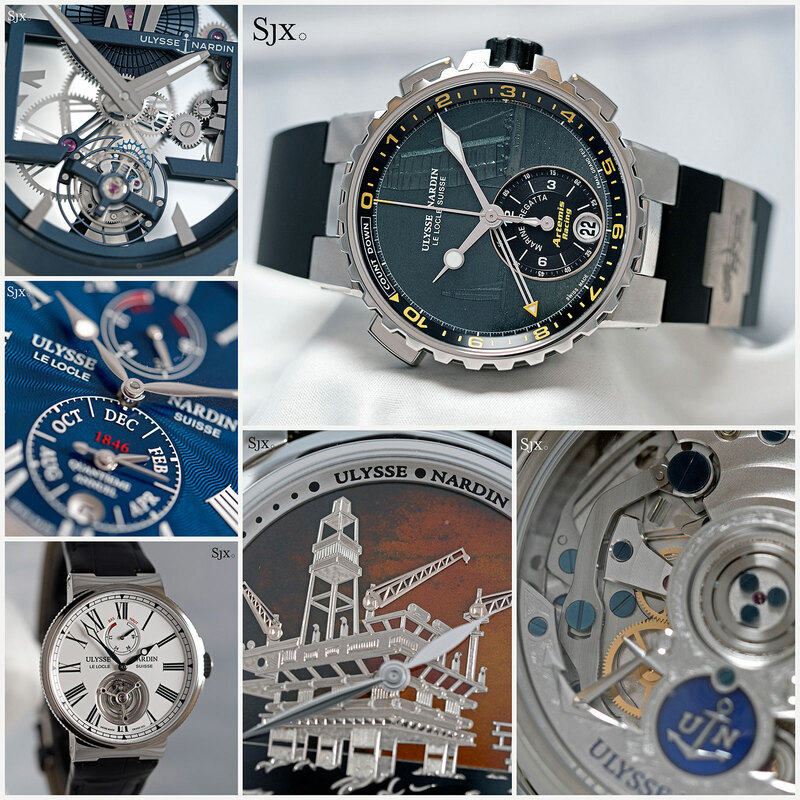 The year’s offerings were replete with wristwatches inspired by marine chronometers, the gimballed, precision clocks used in sailing ships. 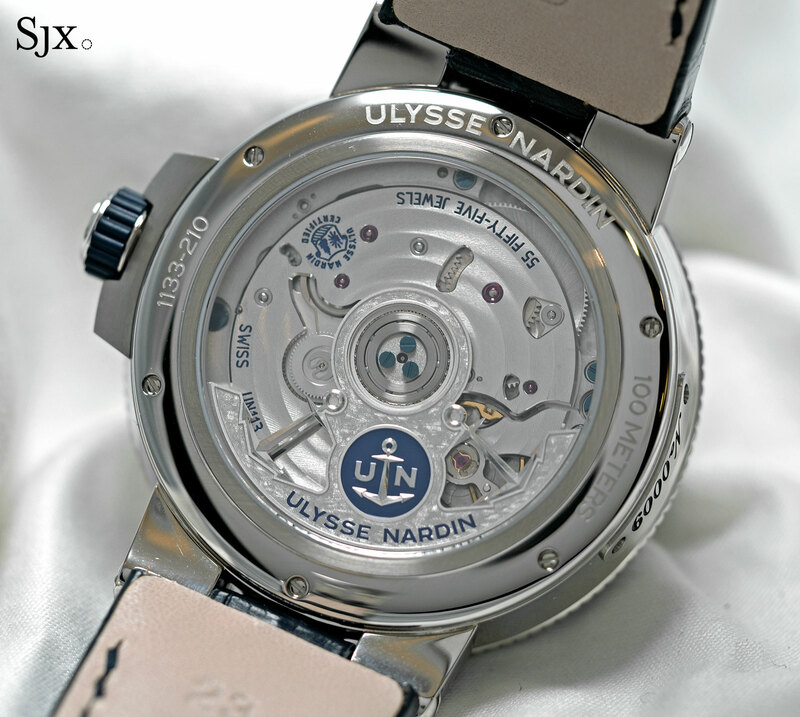 Ulysse Nardin was a leading producer of such clocks, and first translated the look into a wristwatch in 1996. Now the collection includes a broad array of complications – all powered by the same family of in-house movements – with the top of the line being the Marine Tourbillon Manufacture, a surprisingly affordable tourbillon. It’s stainless steel, 43mm in diameter and fitted with a fired enamel dial that gives it a classical bent, despite the sporty case. 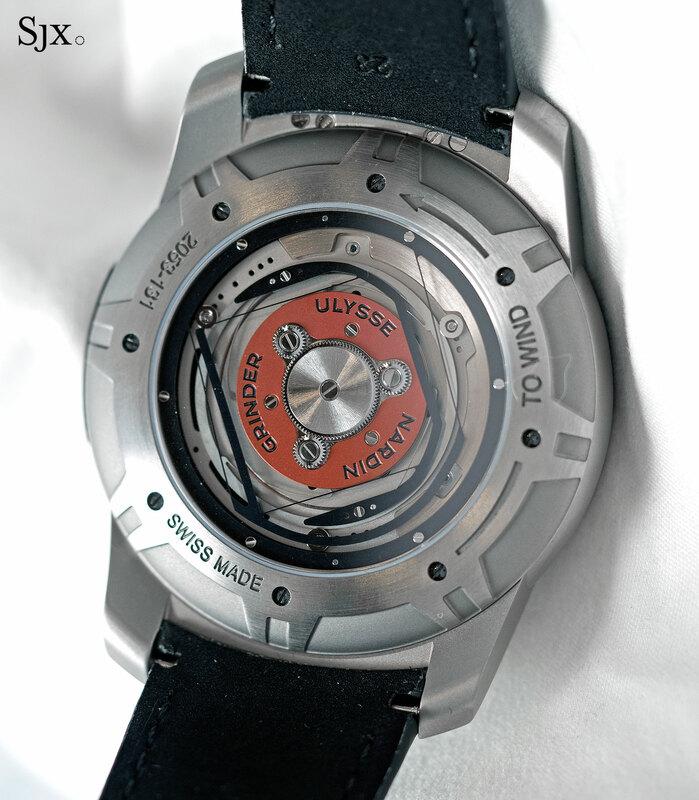 The calibre UN-128 is self-winding and has 60-hour power reserve. 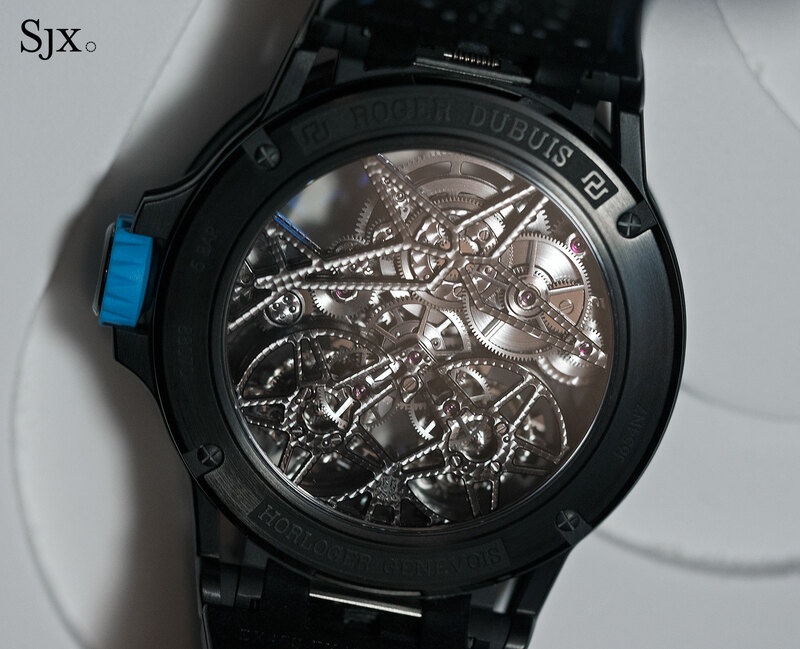 On the front it shows a power reserve display at 12 o’clock, and a flying tourbillon at six. 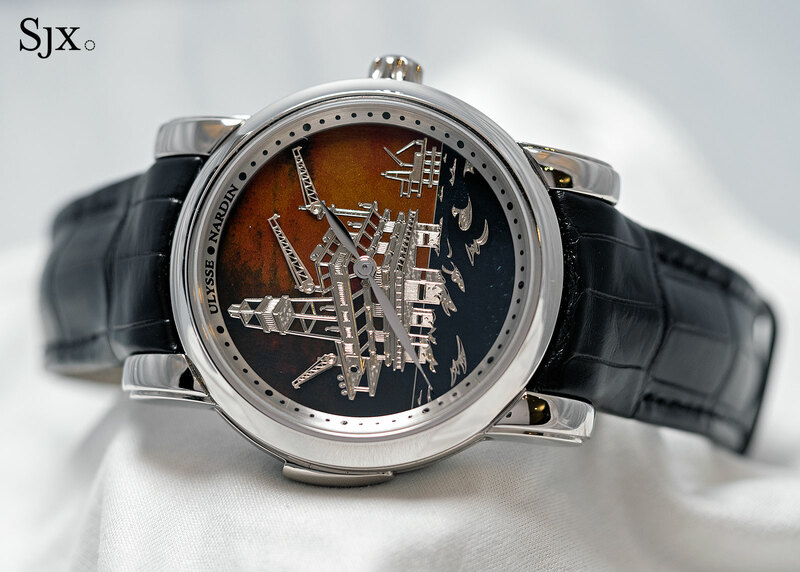 This starts at SFr27,900 on a rubber strap. 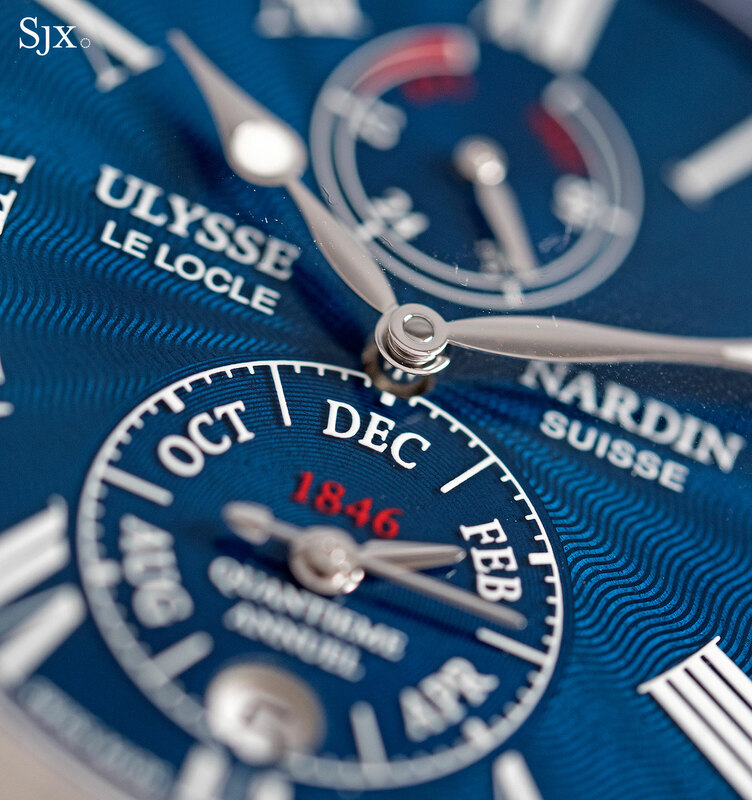 The Marine Chronometer Annual Calendar Manufacture has an attractive fired enamel dial – done in the flinque technique with translucent enamel over guilloche metal – as well as a cleverly concealed annual calendar function. The date is in a window at six o’clock, while the months are integrated into the sub-seconds, leaving the dial clutter-free. 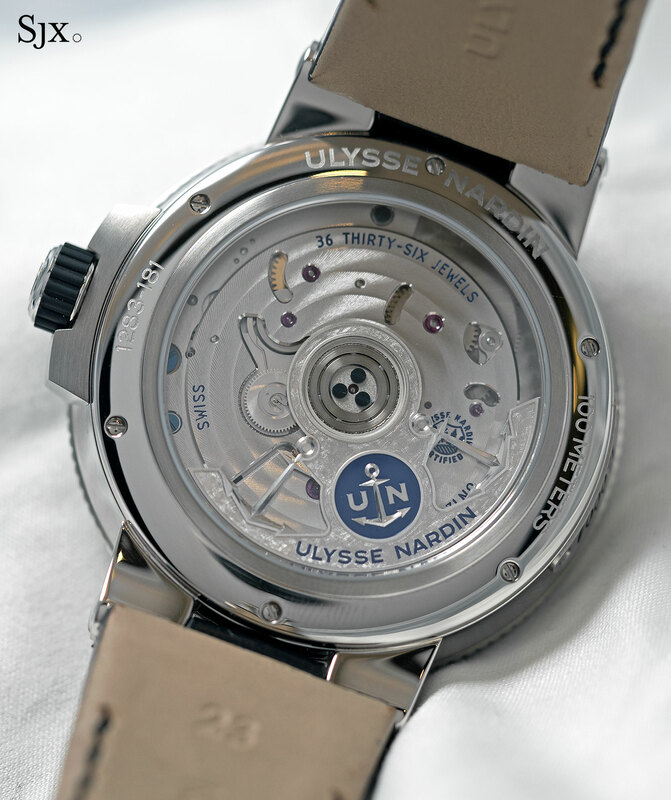 The calibre UN-113 inside is automatic, while the steel case is 43mm. The Marine Chronometer Annual Calendar Manufacture starts at SFr12,800 on a rubber strap. The Marine Chronograph Annual Calendar Manufacture takes the complication a step further with the addition of a chronograph. Here the months are located on the constant seconds sub-dial at nine o’clock, resulting in a relatively clean dial, given the functions. 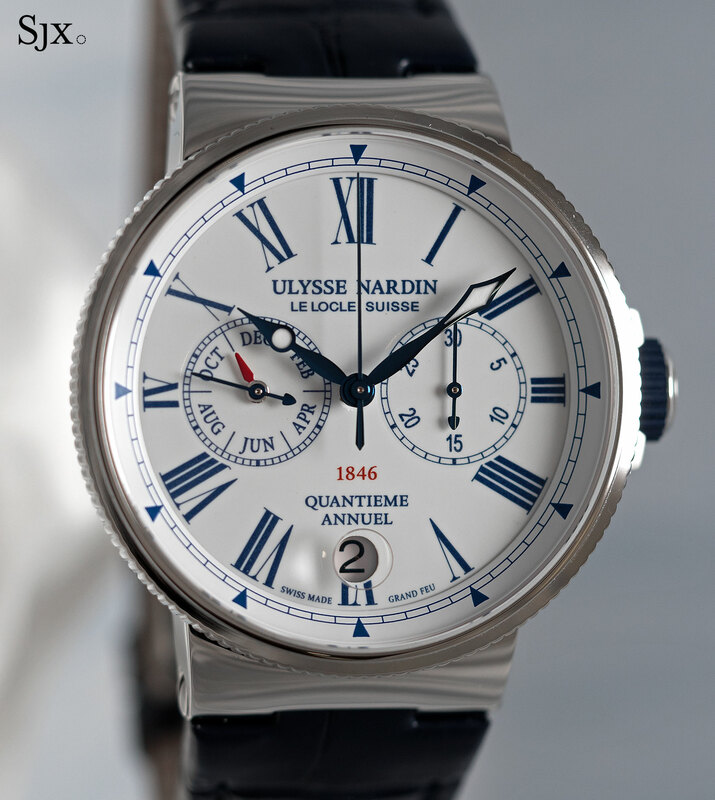 Like the rest of the Marine collection, this too is 43mm in diameter and features a fired enamel dial. 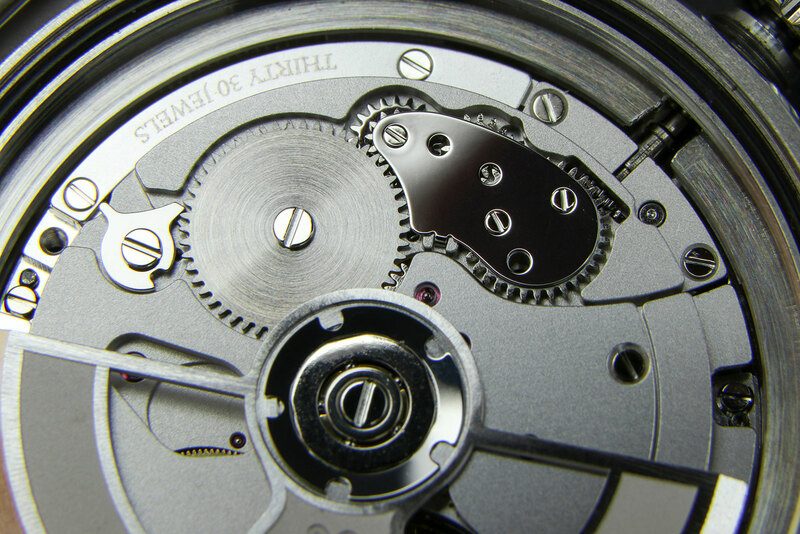 The calibre UN-153 is an integrated chronograph movement with a column wheel. This starts at SFr14,500 on an alligator strap. 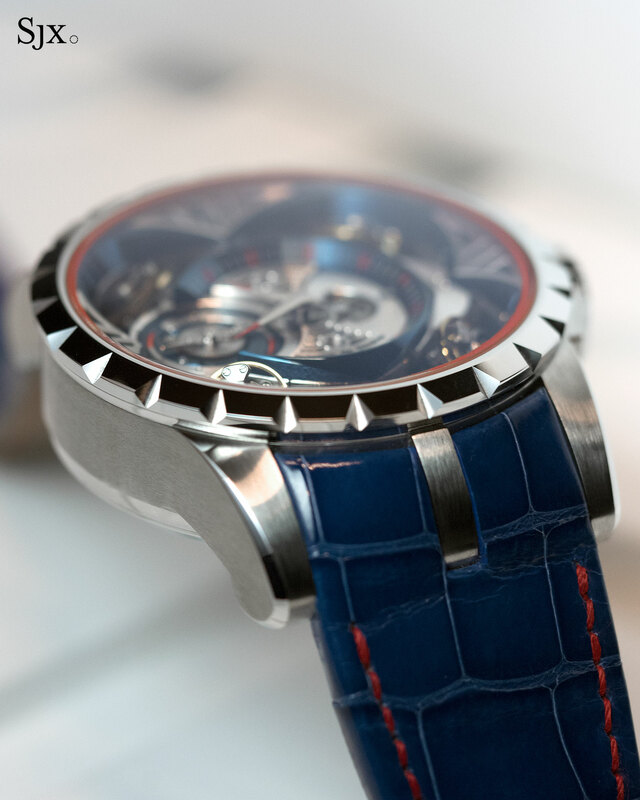 The Marine Chronograph Manufacture Regatta is a chronograph designed for Ulysse Nardin’s partnership with Artemis Racing, the sailing team that competes in the America’s Cup. Like all regatta chronographs this has a countdown feature, but unusually the countdown period can be set backwards and forwards. This has a large 44mm steel case and a dial that departs from the traditional marine chronometer styling of the rest of the line. 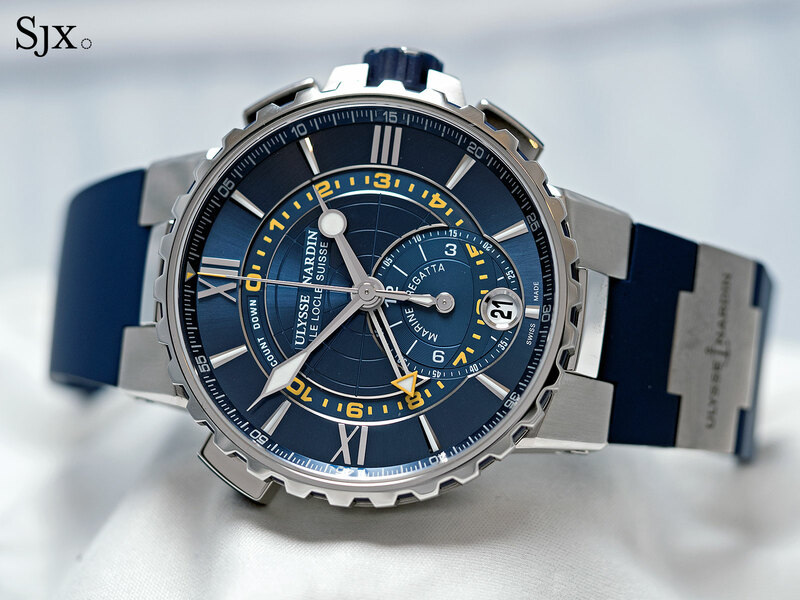 Available with a blue or white dial, this costs SFr15,900. 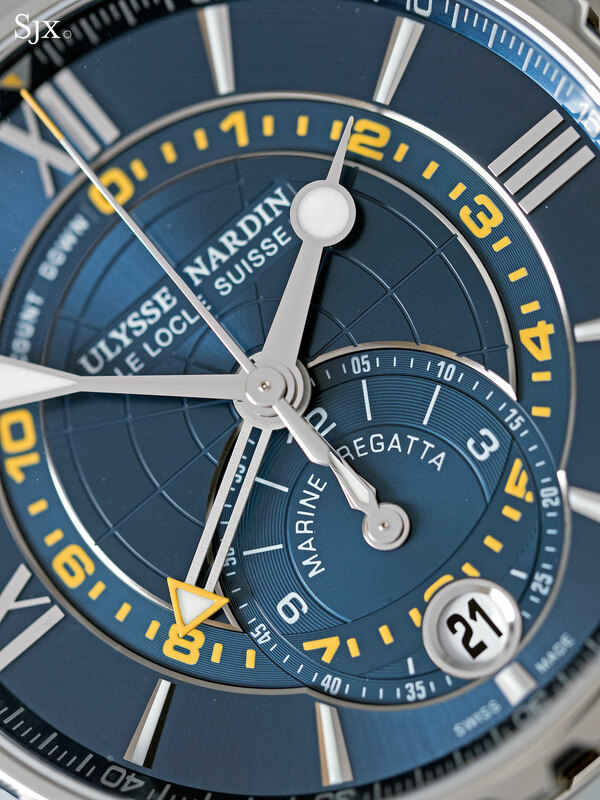 Ulysse Nardin also unveiled the limited edition Marine Chronograph Manufacture Regatta that features a black champleve enamel dial. 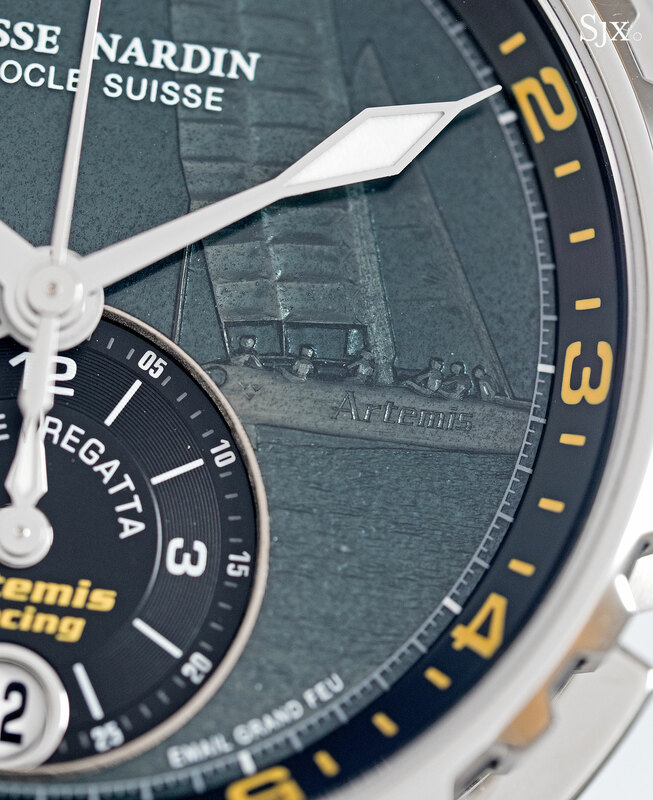 Made by covering the engraved dial base with translucent bluish-grey enamel, the dial depicts the Artemis Racing vessel. 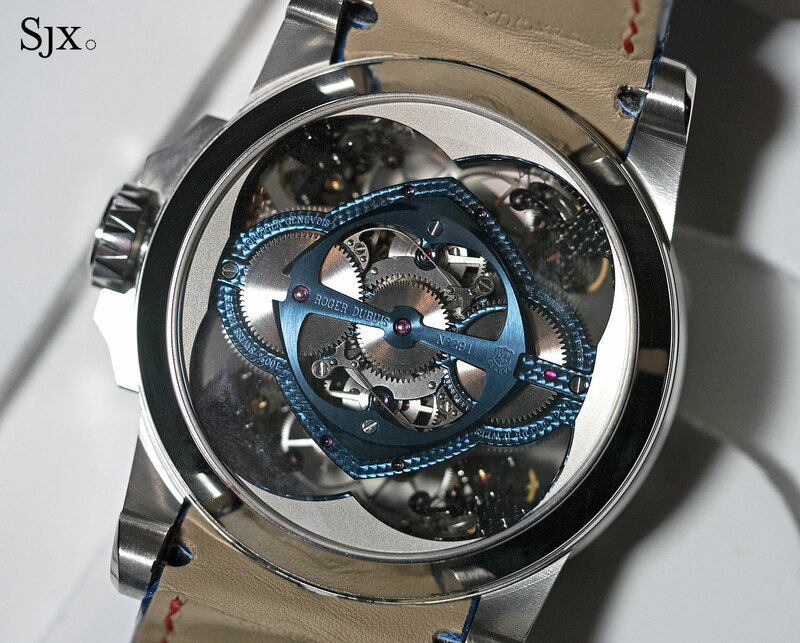 The case is identical at 44mm in diameter, as is the movement inside. 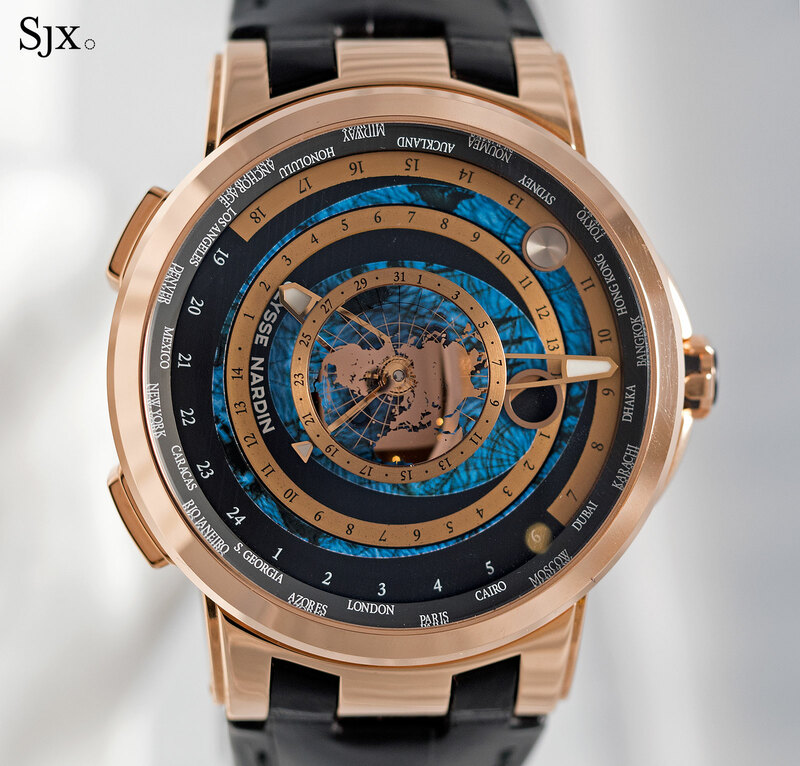 The Artemis edition is limited to 35 pieces, priced at SFr29,800. 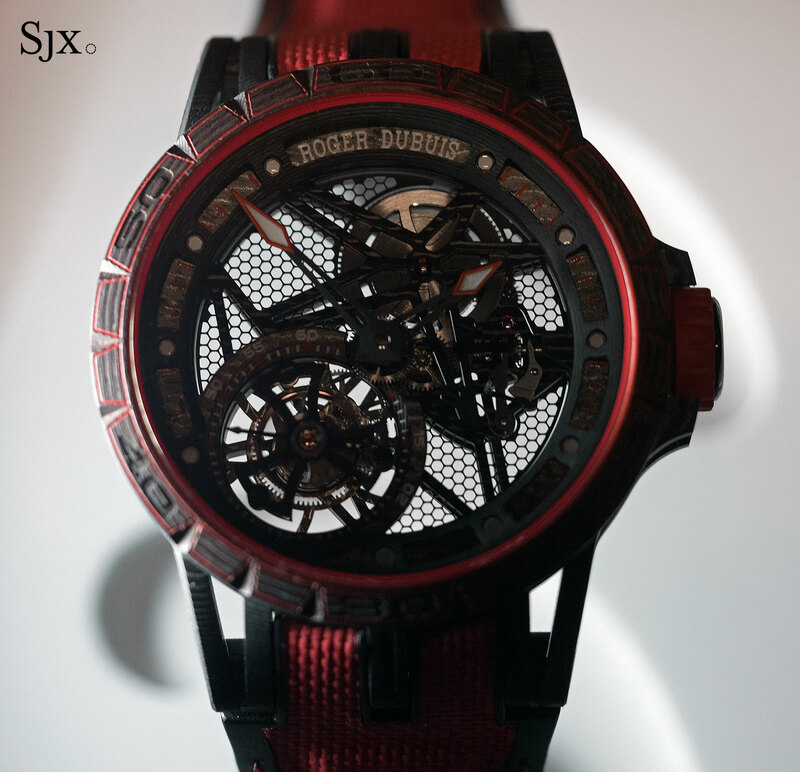 This is a new version of the Executive Skeleton Tourbillon. The 45mm titanium case now has a blue ceramic bezel, matched with blue accents on the open-worked movement that has an impressive seven day power reserve. 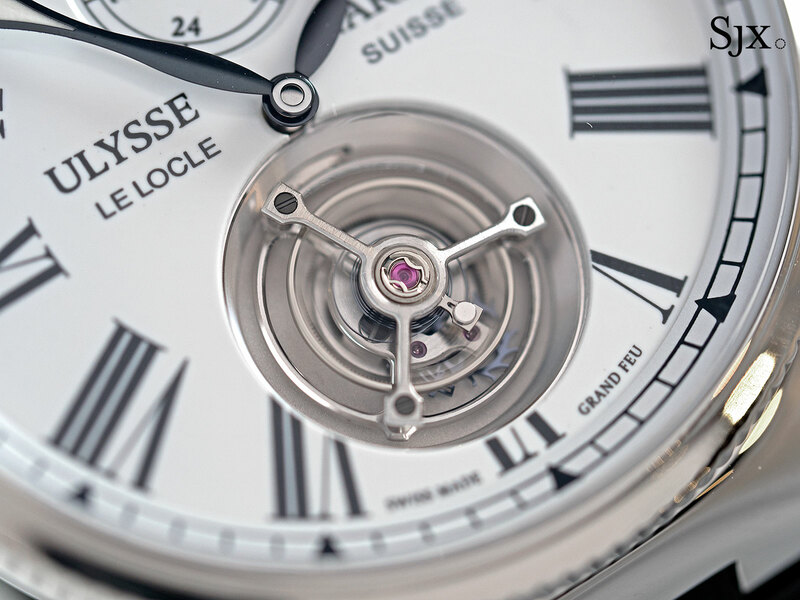 The hand-wound calibre UN-171 is admirably transparent, with the flying tourbillon at six o’clock. 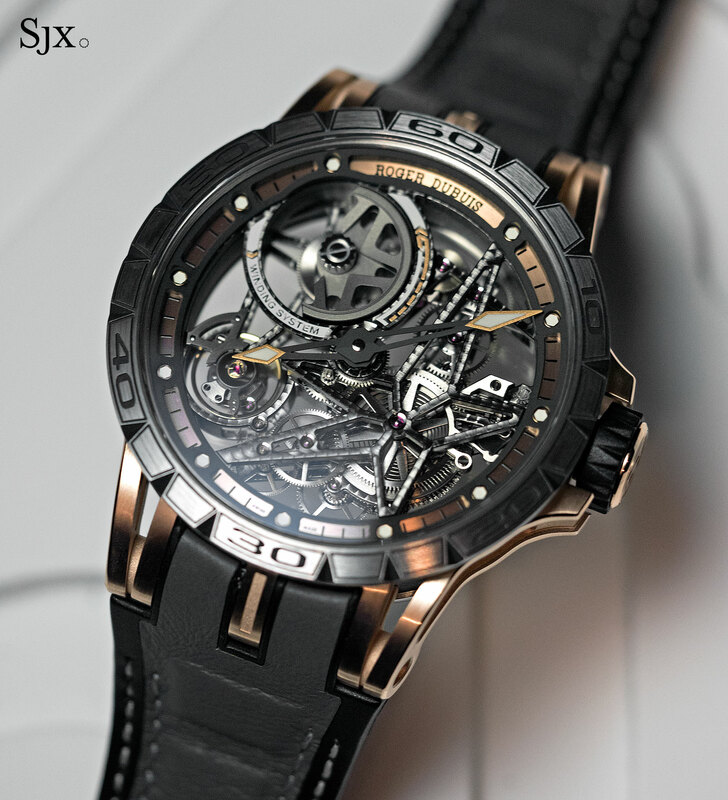 The Executive Skeleton Tourbillon costs SFr38,000. 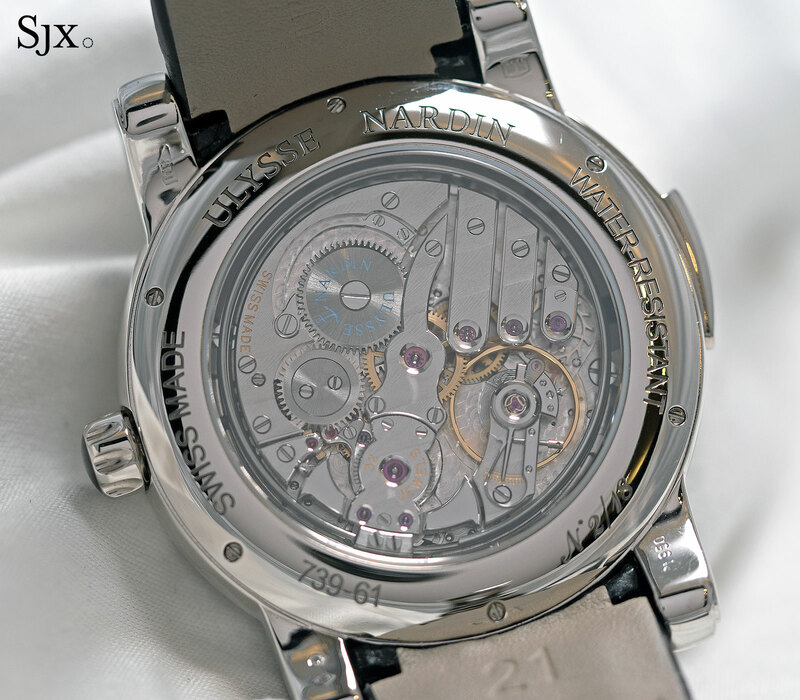 The collection also included a good number of high-end complications, like the North Sea Minute Repeater. 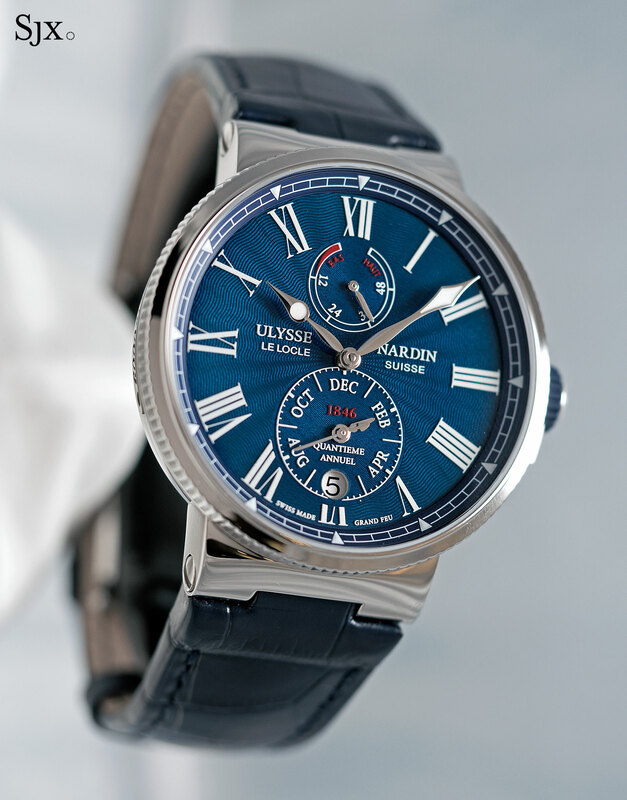 Conceived for those who pay in petrodollars, this is a minute repeater with an automaton on the dial, the latest in a long line of automaton watches from Ulysse Nardin. When the repeater is activated, the cranes on the offshore oil platform move up and down. 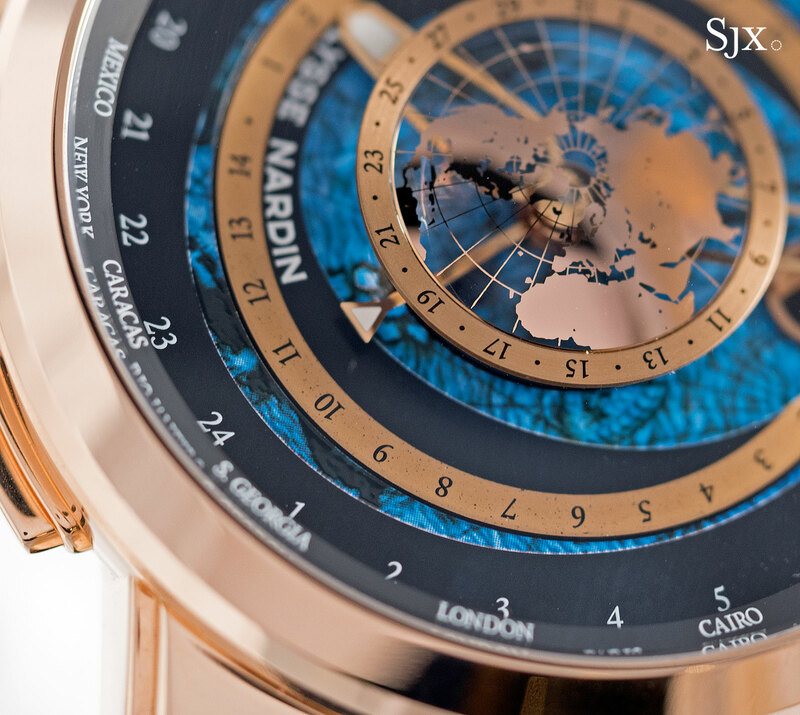 The dial is made of champleve enamel, depicting a dark blue sea and a somewhat menacing bright orange sky. 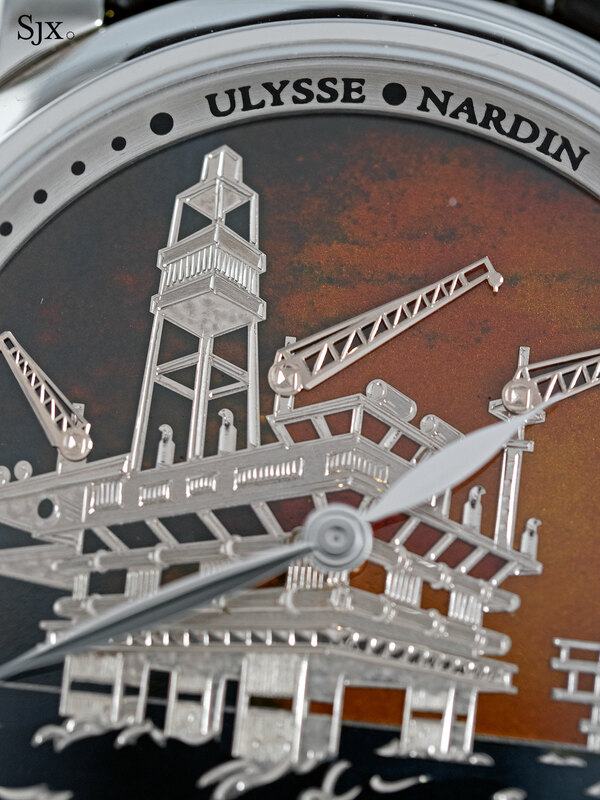 The oil platform is made of solid gold with hand-engraved details. 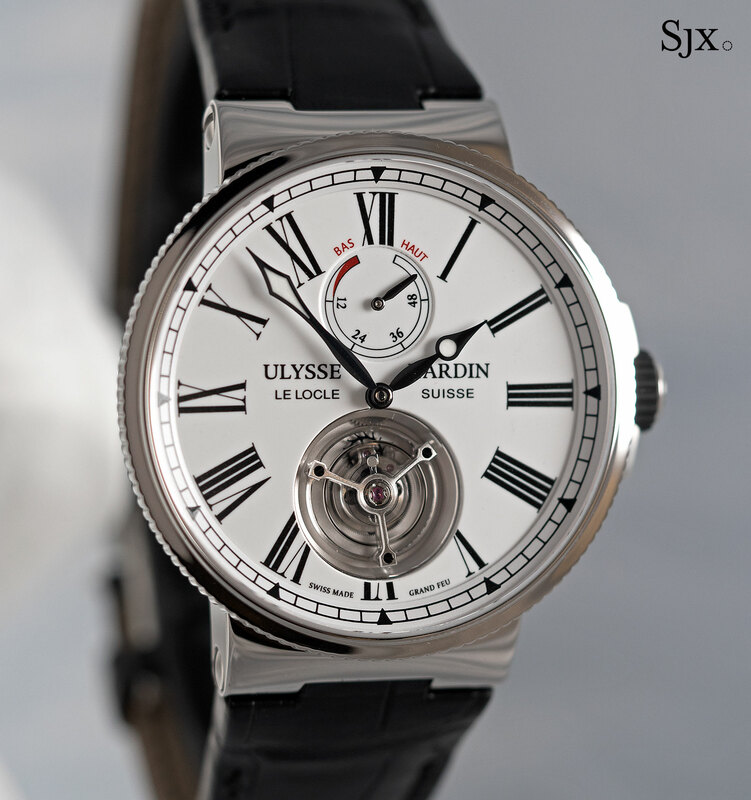 Inside is a hand-wound movement produced by Christophe Claret, the complications specialist that Ulysse Nardin first turned to in the 1980s for its first automaton wristwatch, illustrating the length of the relationship. Traditional in style and layout, the movement was inspired by vintage pocket watch repeater movements. The North Sea Minute Repeater is limited to 18 pieces each in rose gold and platinum, priced at SFr295,000 and SFr325,000 respectively. 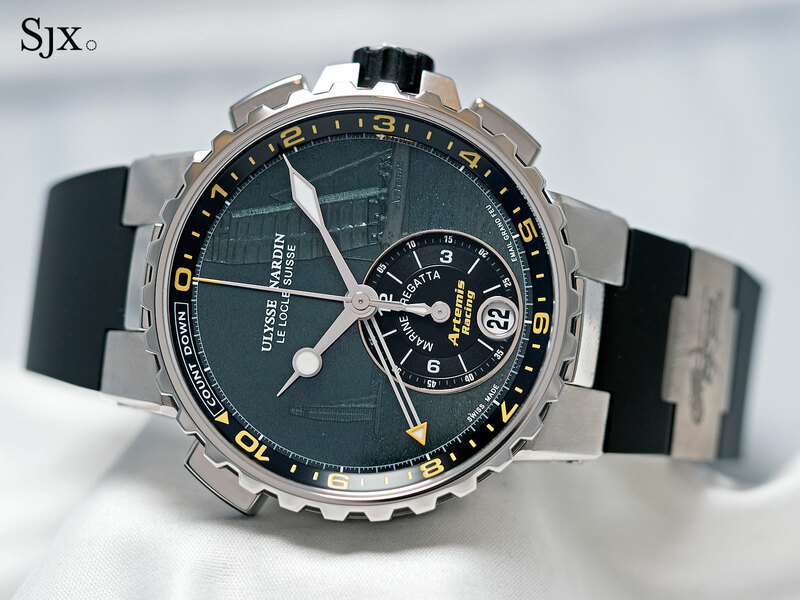 The Moonstruck Worldtimer is a variant of Ulysse Nardin’s elaborate moon watch that’s now combined with a world time function. Displaying the moon phase as well as the positions of the moon and Sun relative to the Earth, the moon indicator is unusually precise – the display will deviate by a full moon only after 100,000 years. 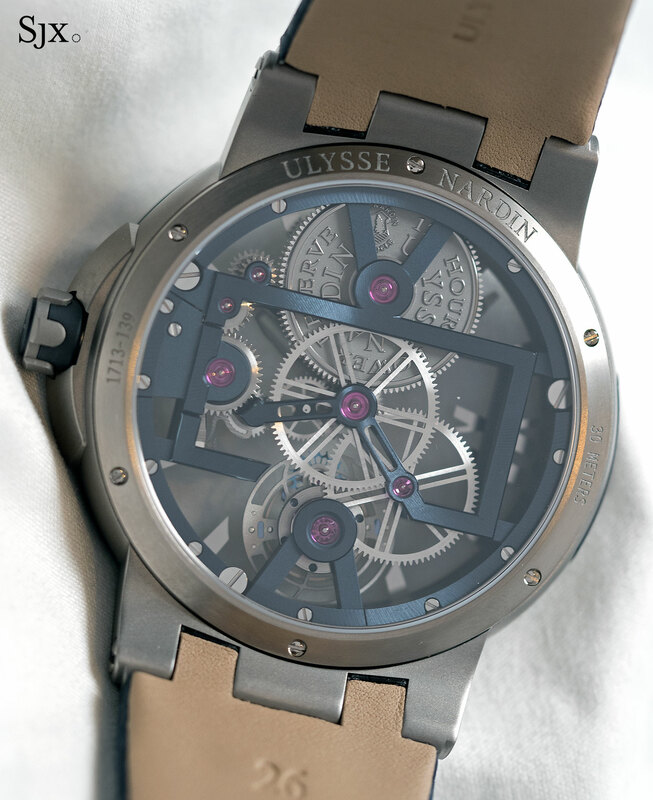 The case is 46mm in diameter and available in rose gold or platinum, each being limited to 100 pieces. The rose gold version is SFr75,000, while the platinum is SFr95,000. The Vintage collection was a surprise offering from the brand. 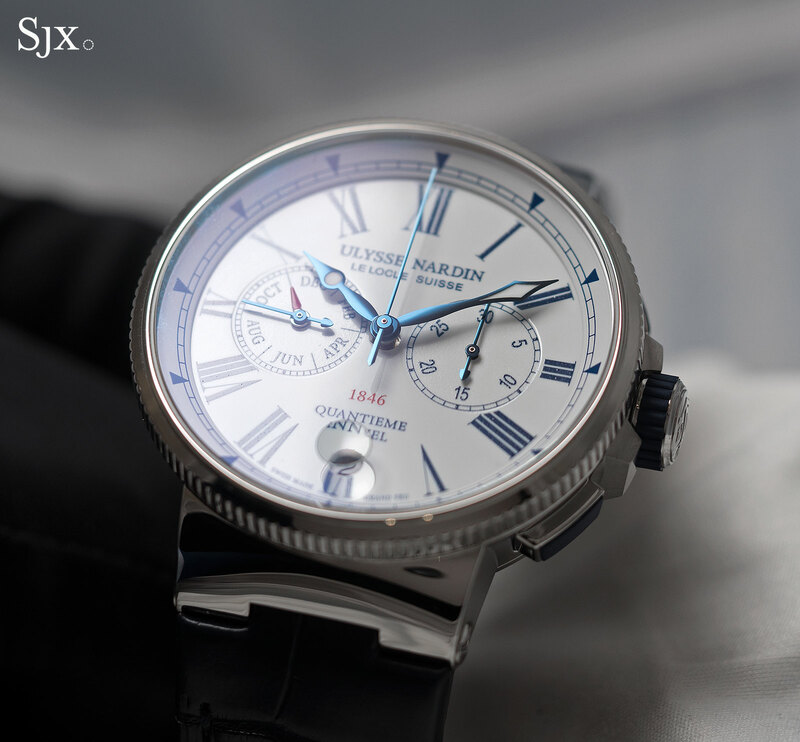 Made up of four watches, this collection takes inspiration from historical Ulysse Nardin watches, including fairly recent ones. Find out more in our in-depth story on them published last month. Ironically, the most noteworthy watch of the 2017 range was one that’s not for sale. 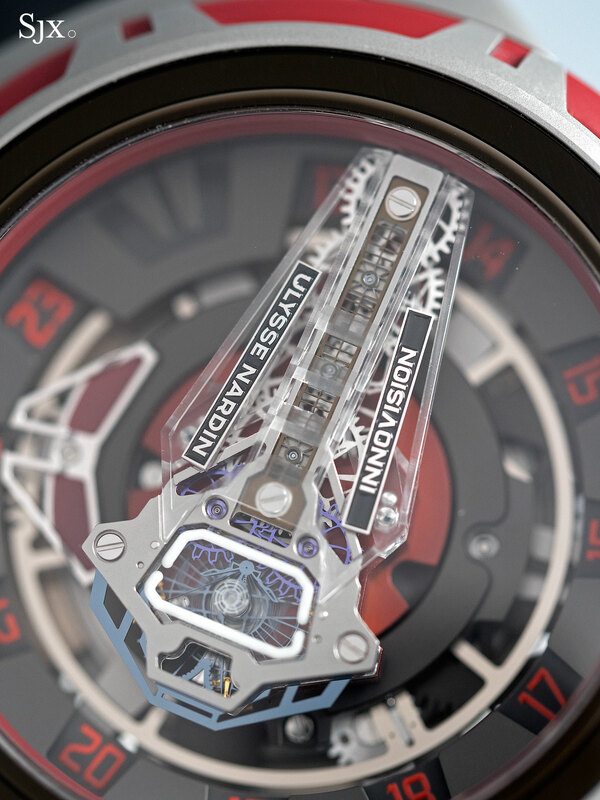 An experimental, one-off concept watch, the Freak Innovision 2 takes Ulysse Nardin’s signature carrousel wristwatch and loads it with a plethora of technical innovations. The features include a double escape wheel, constant force escapement – most of its parts are made of silicon – and a silicon balance wheel with gold weights. 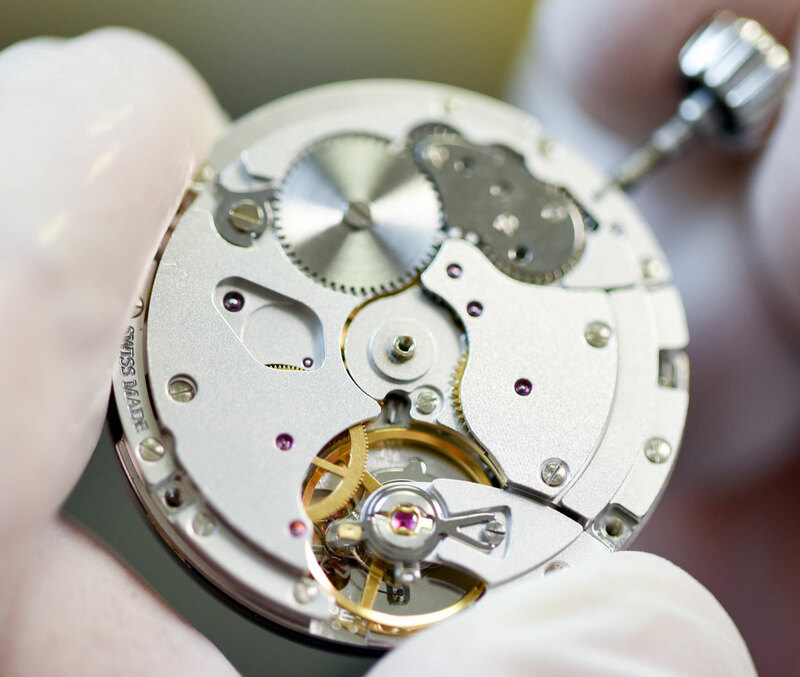 Other innovations include Grinder, a efficient automatic winding mechanism that relies on springs to operate, as well as wheels made of 24k gold that’s been hardened. A prominent feature is the balance bridge, which is made of glass, the same material used for the minute hand. 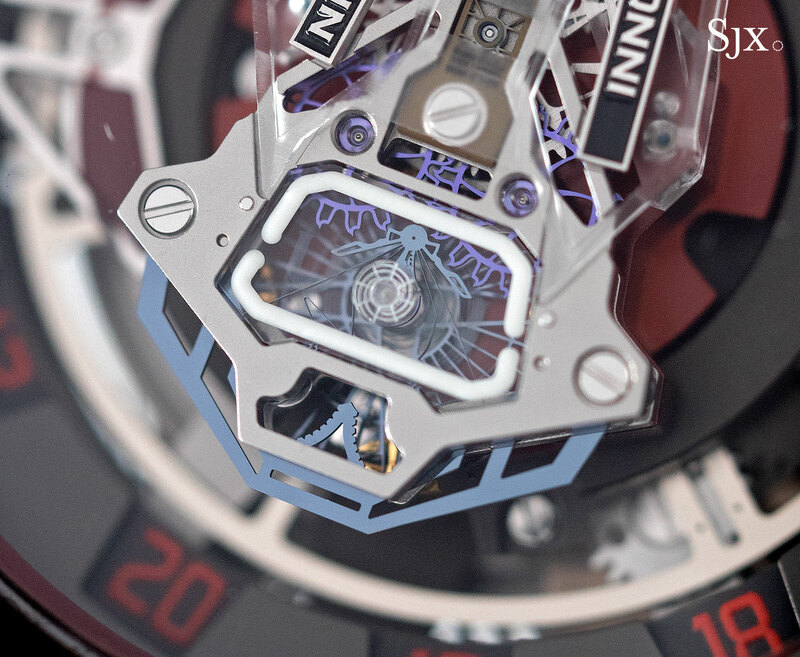 The Freak Innovision 2 is not for sale, though expect some of the features to make their way into serially produced timepieces in the future. The first watch from a startup, utilising the uncommon but robust Eterna calibre 39. 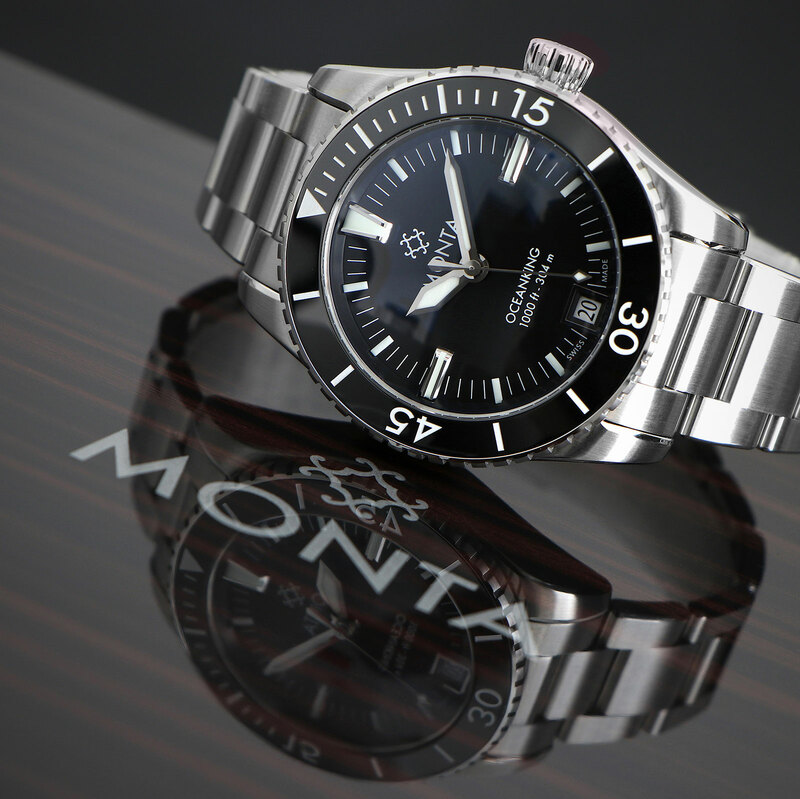 Founded by the entrepreneur behind rubber watch strap specialist Everest Bands, Monta is new outfit that only just announced its first wristwatch: the Oceanking dive watch. 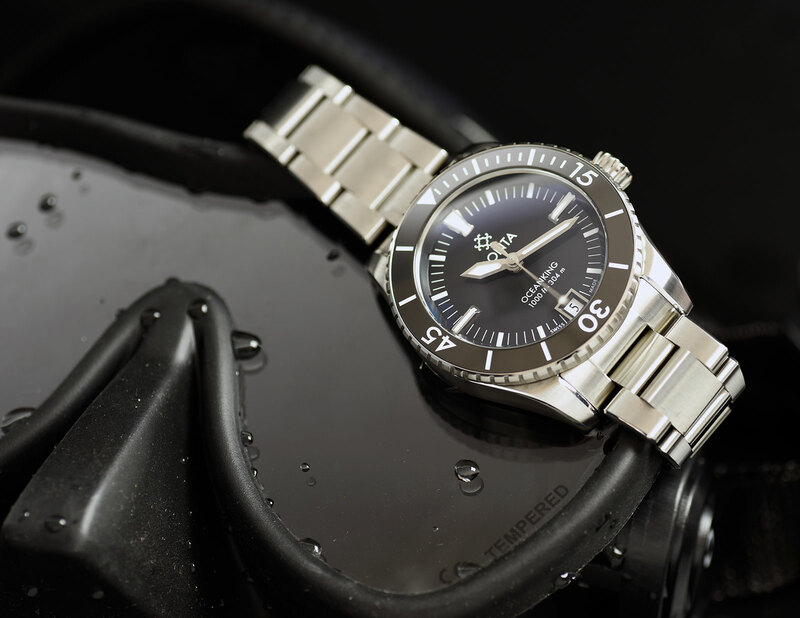 Rated to 300m, the Oceanking is stainless steel and features a ceramic bezel insert. 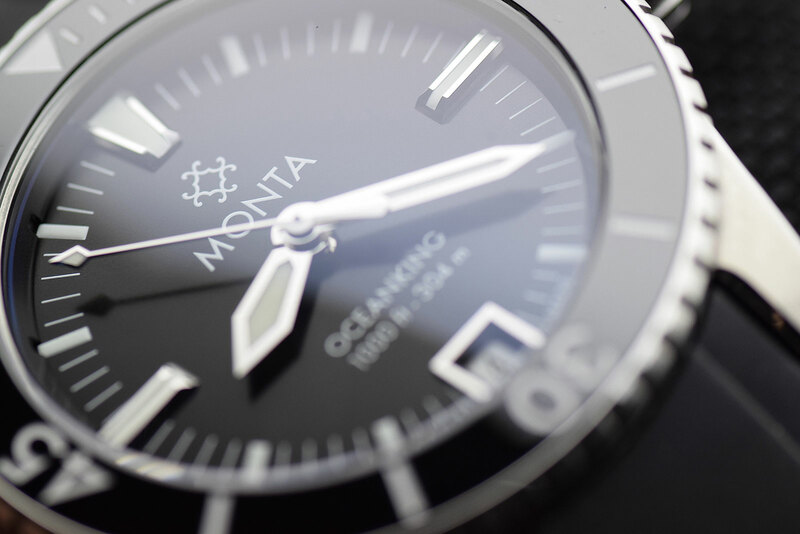 While the Oceanking is designed in a style that’s typical of the genre, the watch was conceived with attention to detail. 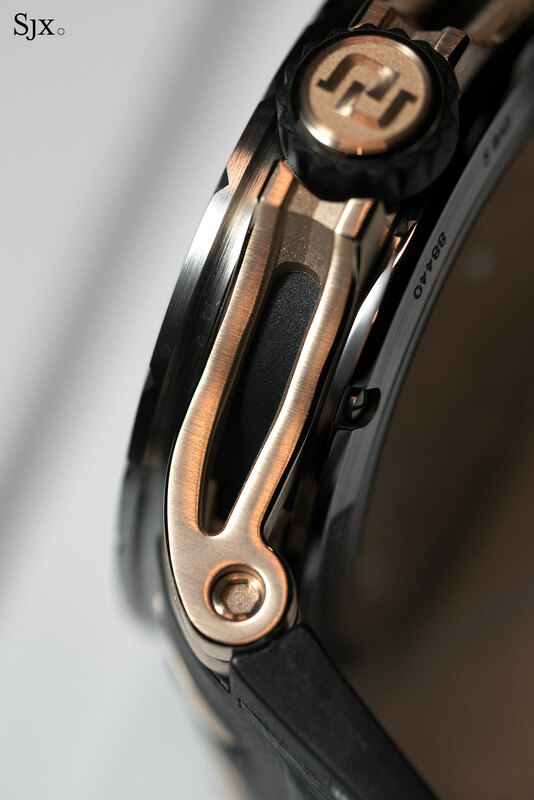 Consequently the hands and indices are diamond-cut, while the bezel insert is held in place with a gasket instead of the conventional adhesive. But more unusual is the movement inside. Instead of the usual ETA or Soprod movements found in such watches, the Oceanking is equipped with the Eterna calibre 3909A. 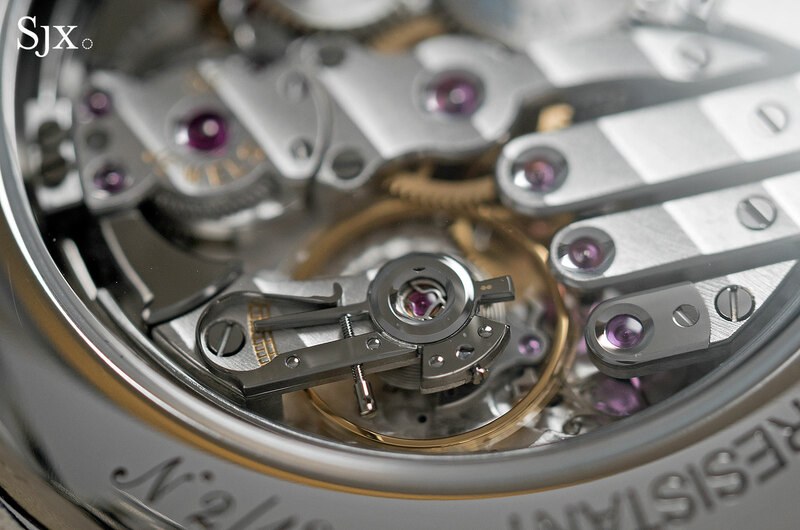 Notably, the movement fits the case exactly, so it is held in place with screws and clamps, without a movement ring. 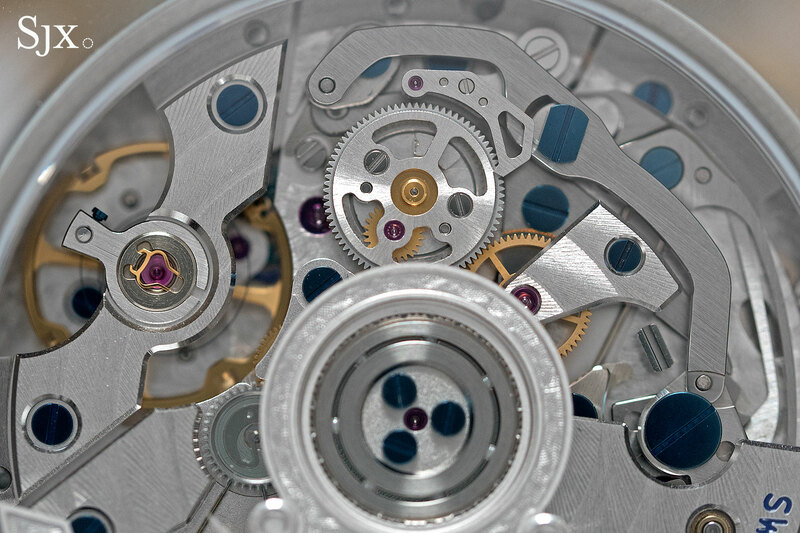 Part of the Eterna calibre 39 family, the movement is an automatic with a longer than average 65-hour power reserve. 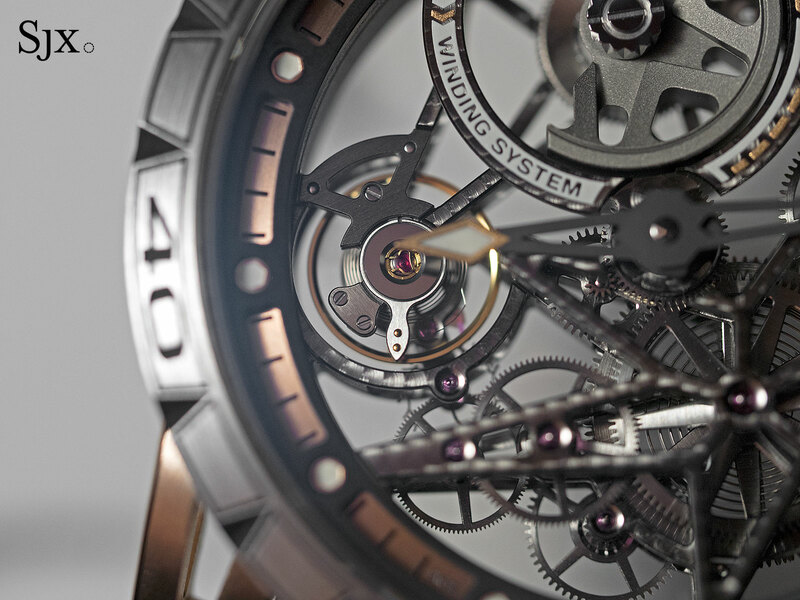 Designed to be a robust and flexible movement, the calibre 39 is designed to accommodate complications. 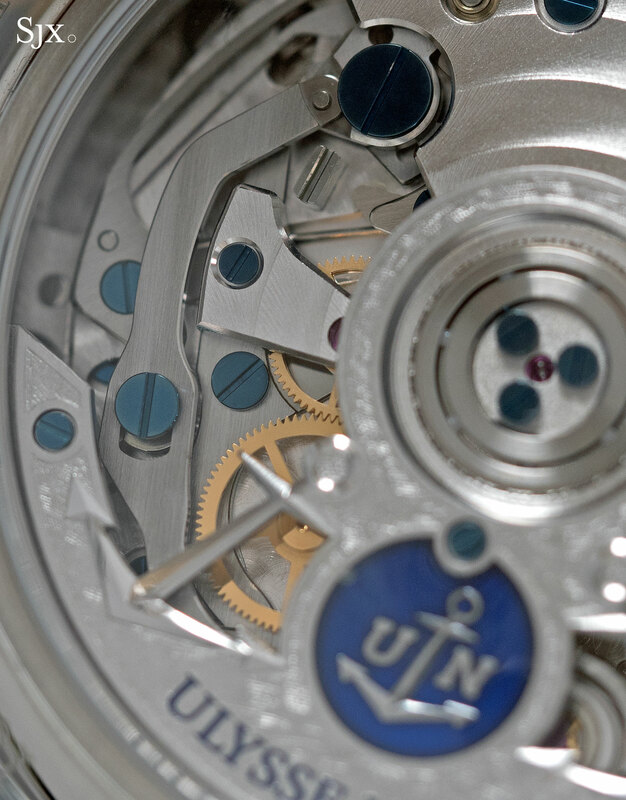 So while the calibre 3909A inside the Oceanking is a time-only automatic with a date indicator, Eterna also offers the calibre 3916A, which is the same thing with an integrated chronograph mechanism. Eterna – which ironically spun-off ETA as a standalone movement maker decades ago – has marketed the calibre 39 family little, which makes it fairly uncommonly, despite the movements being solidly built. 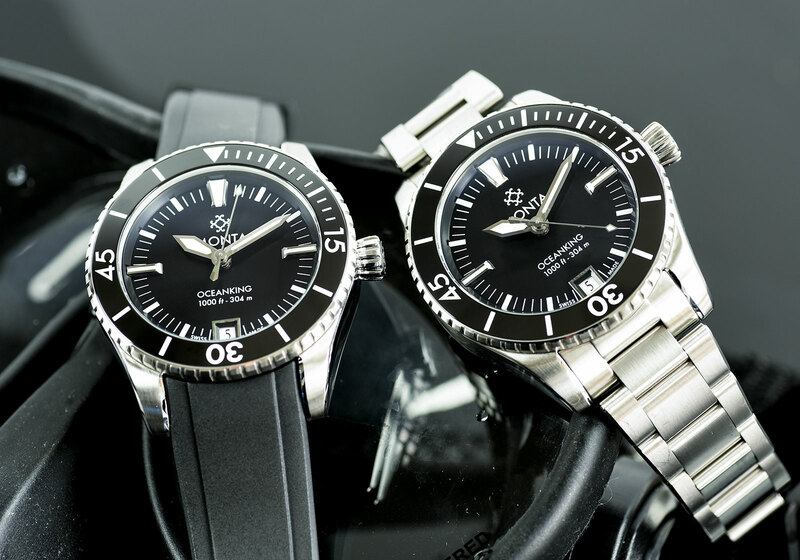 The Oceanking case is 40mm in diameter and 13.8mm high, and delivered with a steel bracelet as well as a rubber strap. It’s available on Monta’s own website, priced at US$3550. 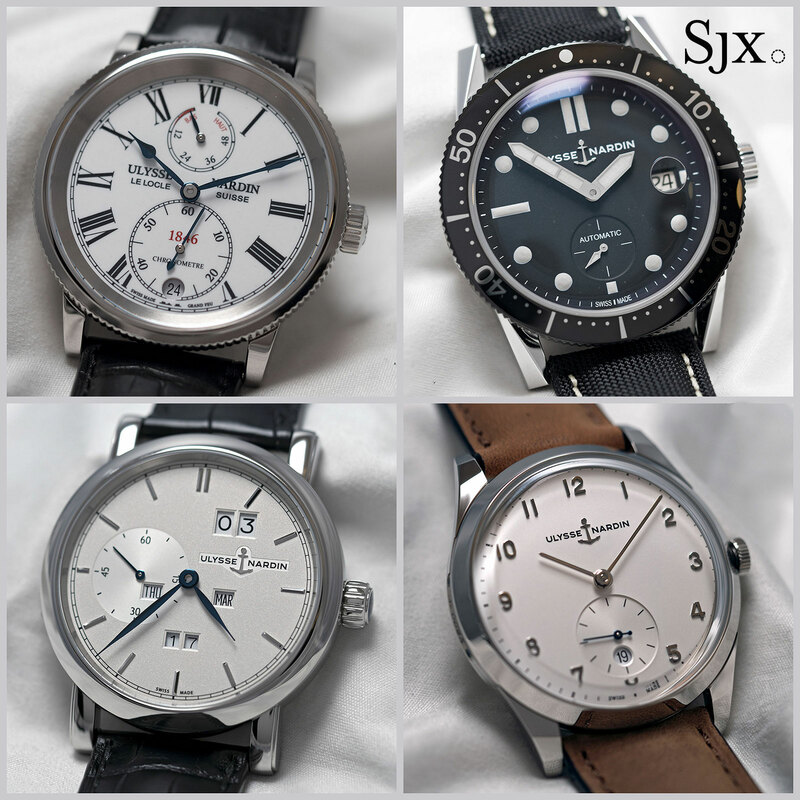 Watches purchased via pre-order (which requires a 50% deposit), come with a five-year warranty, while the standard three-year applies for future deliveries. A vintage-style diver's chronograph powered by an in-house movement, the new Eterna Super KonTiki will make its official debut at Baselworld 2016. Specs and the price below. 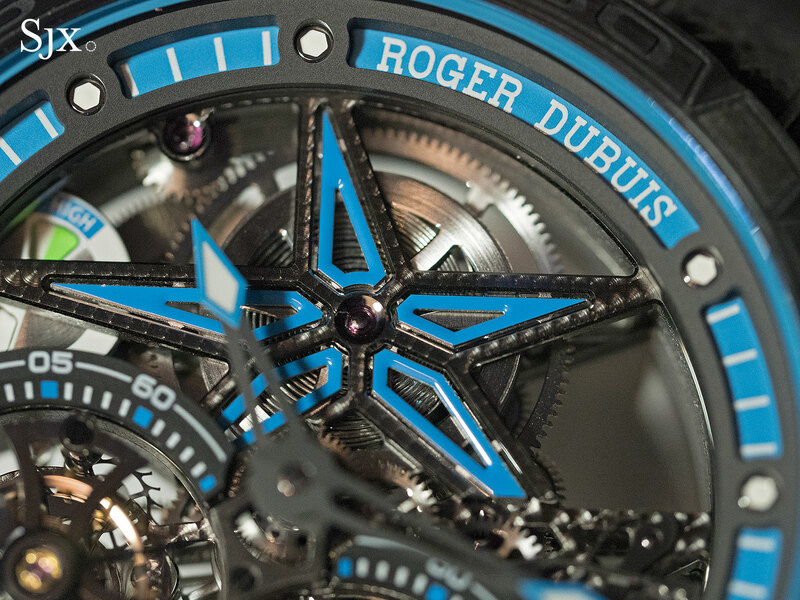 Roger Dubuis‘ offerings for SIHH 2017 stuck to its bestselling Excalibur line, with improvements in materials and colours, and also a mystifying tie-up with tyre-maker Pirelli. 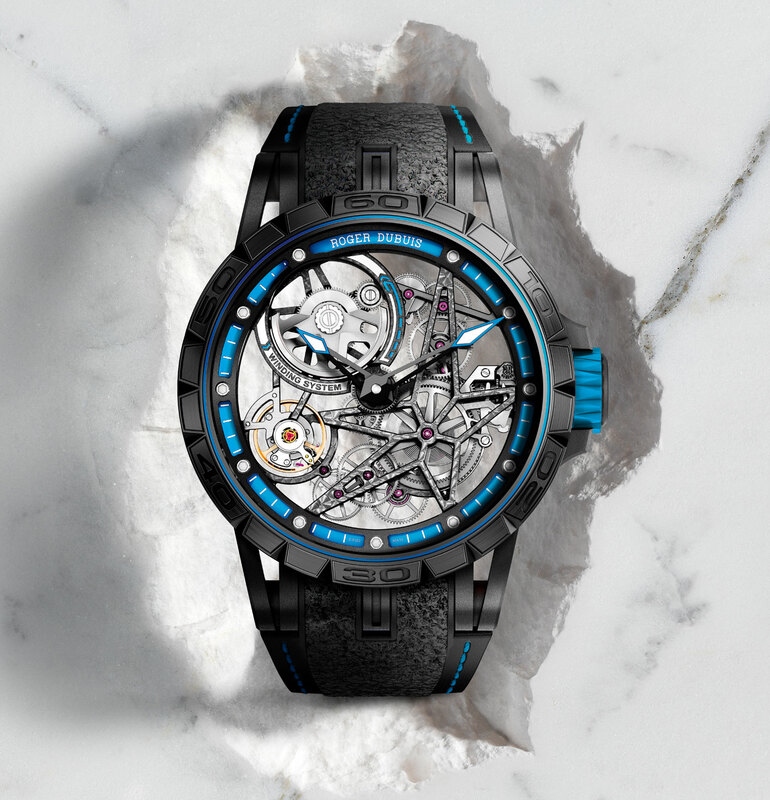 With a skeletonised case that’s characteristic of the Excalibur Spider, the Pirelli editions comprise a double tourbillon as well as automatic skeleton, both with black diamond-like carbon (DLC) coated cases with blue rubber accents on the movement, chapter ring and crown. In fact, the flanks of the open-worked case reveal the blue vulcanised rubber coating on the inner case that holds the movement. A tangible Pirelli connection is found on the rubber straps, which are inlaid with rubber taken from Pirelli tyres used on Formula 1 cars during the 2016 season. While the outer inlay has a granular texture, the inside of the strap is moulded to look like the treads of a Pirelli Cinturato tyre. The Excalibur Spider Pirelli Double Flying Tourbillon is 47mm in diameter and equipped with the RD105SQ, a hand-wound calibre that’s been open-worked in signature star pattern of the brand. 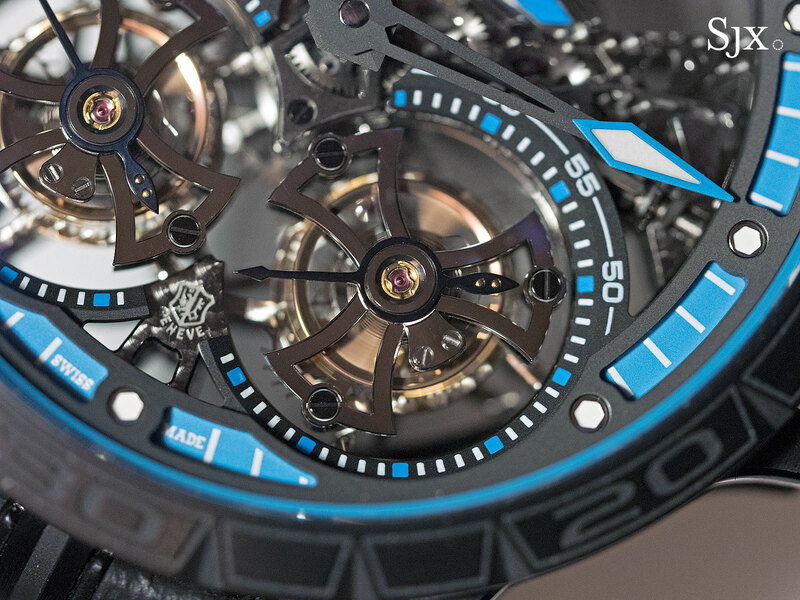 It has two flying, one-minute tourbillons with cages shaped like a Celtic cross, as well as a power reserve display at nine o’clock. 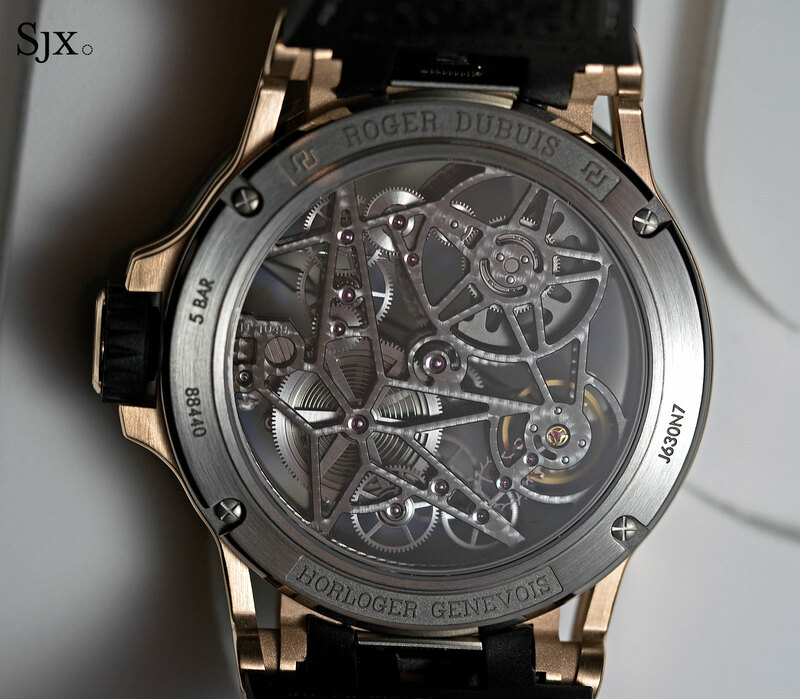 The power reserve is a new feature, not being found on the first generation Excalibur double tourbillon. 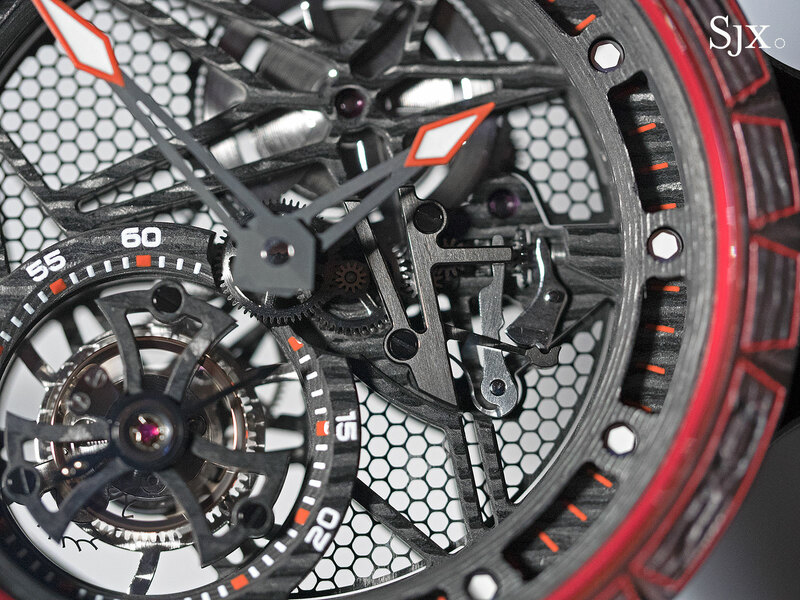 Limited to just eight pieces, the double tourbillon comes with a two-day motorsport experience as a guest of Pirelli. It is priced at SFr280,000 or S$442,000. Similarly styled but smaller at 45mm, the Excalibur Spider Pirelli Automatic Skeleton keeps the distinctive skeletonised, star-motif movement design but is a time-only watch. The RD820SQ has a micro-rotor on the front, as well as the balance wheel, giving the dial a significant amount of detail. 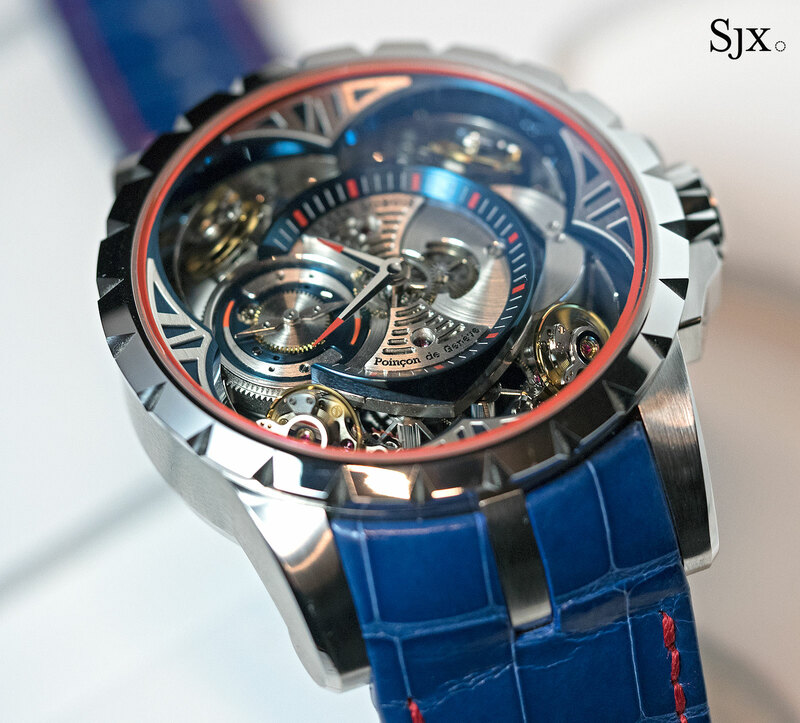 This is limited to 88 pieces, with a price tag of SFr65,000 or S$103,00. 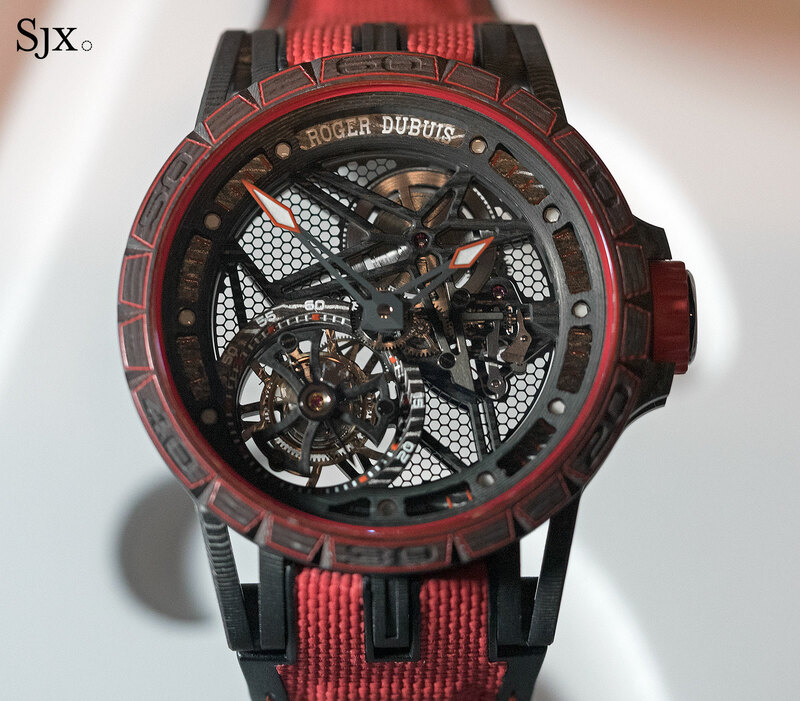 Based on the first Excalibur Spider Tourbillon in titanium, the Excalibur Spider Carbon is the most striking watch of the Roger Dubuis line-up for the year, with the case as well as structural movement parts made of carbon composite. Produced by layering thin sheets of carbon fibre that are then set in resin, and cutting the resulting material against the grain, the carbon composite reveals a distinctive banded pattern. 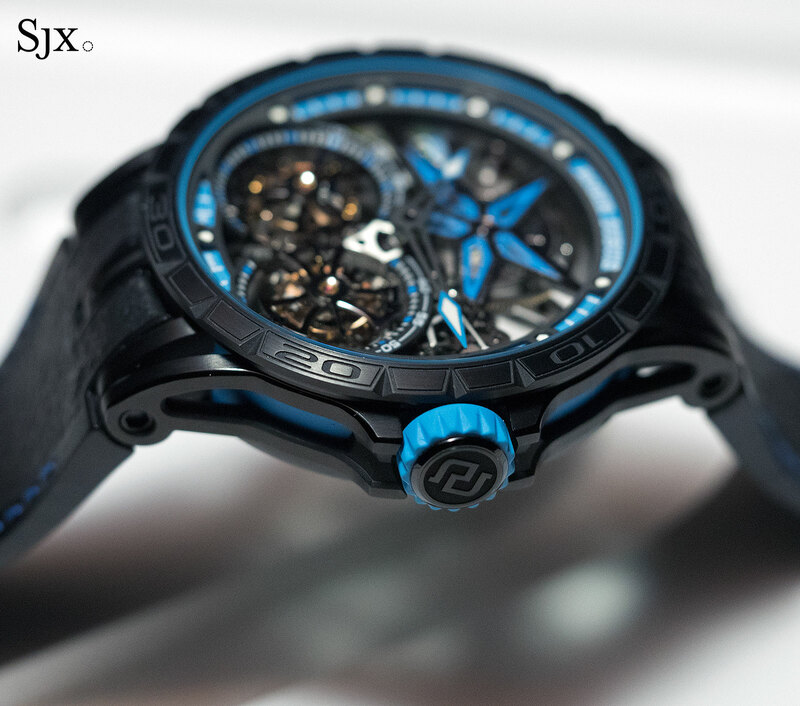 While different from the layered carbon composites used by the likes of Richard Mille and Panerai, the material is similar. 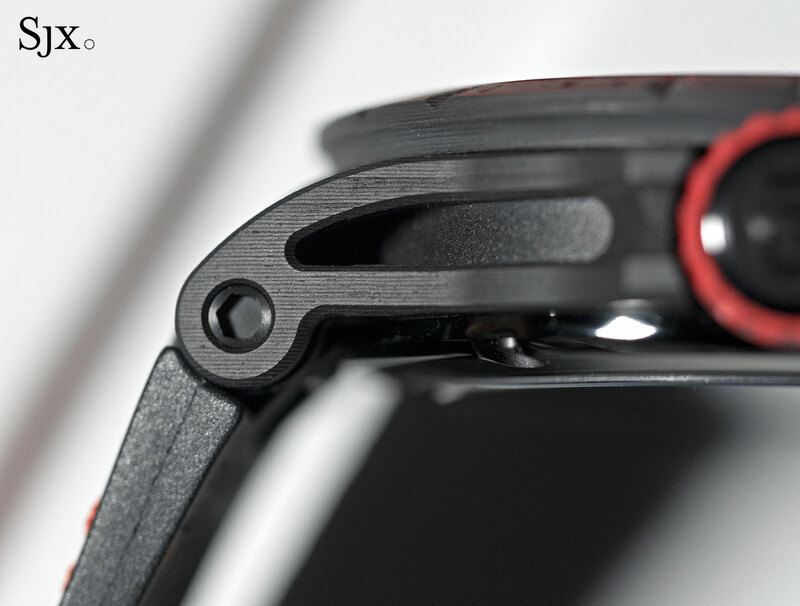 The outer structure of the case, meaning the bezel and lugs, are made of carbon composite, while the inner case is titanium coated in red vulcanised rubber. More unusually, the base plate, bridges and the Celtic-cross upper cage of the tourbillon are also made from the same composite material. The liberal use of carbon composite and skeletonised case means the watch is fairly lightweight, despite the large 45mm diameter. Another striking feature is the honeycomb mesh that sits in between the bridges and base plate. The movement is the calibre RD509SQ, hand-wound and equipped with a single flying tourbillon, with a 70-hour power reserve. 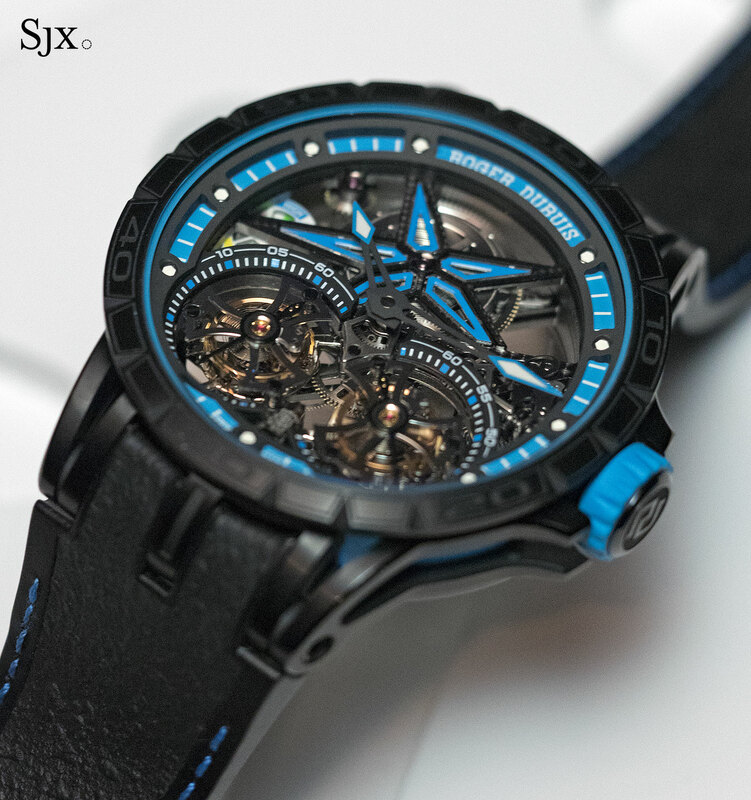 Limited to 28 pieces, the Excalibur Spider Carbon costs SFr180,000 or S$292,000. The Excalibur Spider Automatic Skeleton in titanium and pink gold is a fancier version of the original time-only skeleton. What makes it different is the case, which has the lugs in 18k pink gold, while the bezel and back and are in titanium – an appealing combination. The size remains 45mm, as does the RD820SQ movement inside. 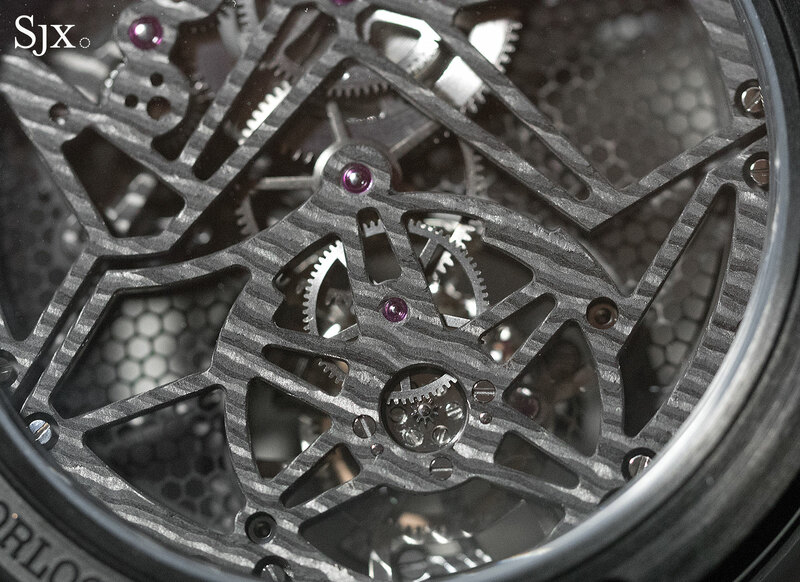 Limited to 88 pieces, the price of the Excalibur Spider Automatic Skeleton has yet to be announced. 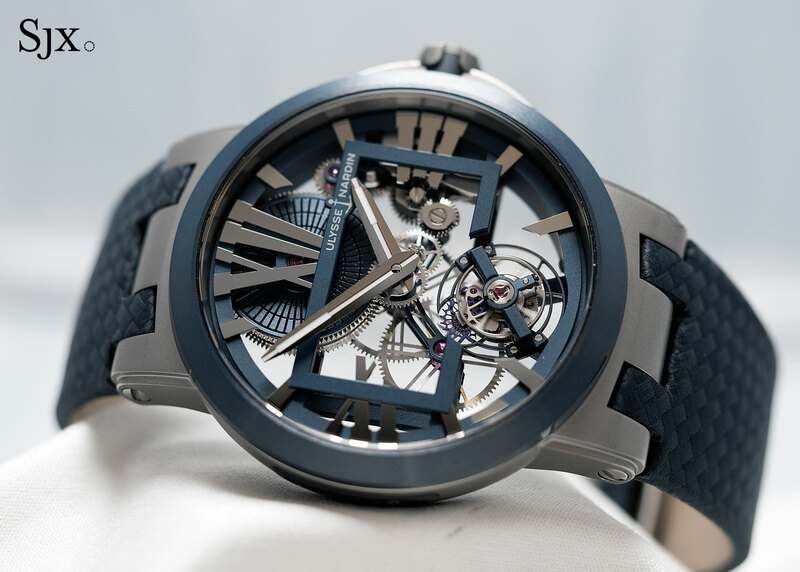 Previewed before SIHH, the Excalibur Quatuor Cobalt Micromelt has four balance wheels and an case made from an unusual cobalt-chromium alloy produced via a high-tech proprietary method. Named Micro-Melt, the process starts with a liquid alloy that’s turned into a fine powder via a high pressure gas. The powder is then filtered to keep only the finest particles, then subject to high temperature and pressure, creating a dense and hard metal. The resulting cobalt-chromium alloy is strong and corrosion-resistant, and also weighty in the hand as well as a bright silver in tone. While the colour of the case is striking, the new alloy does little to help the wearability of what is already a large and heavy wristwatch. Inside the 48mm case is the RD101, a hand-wound movement with four regulators that average each other out for better timekeeping. 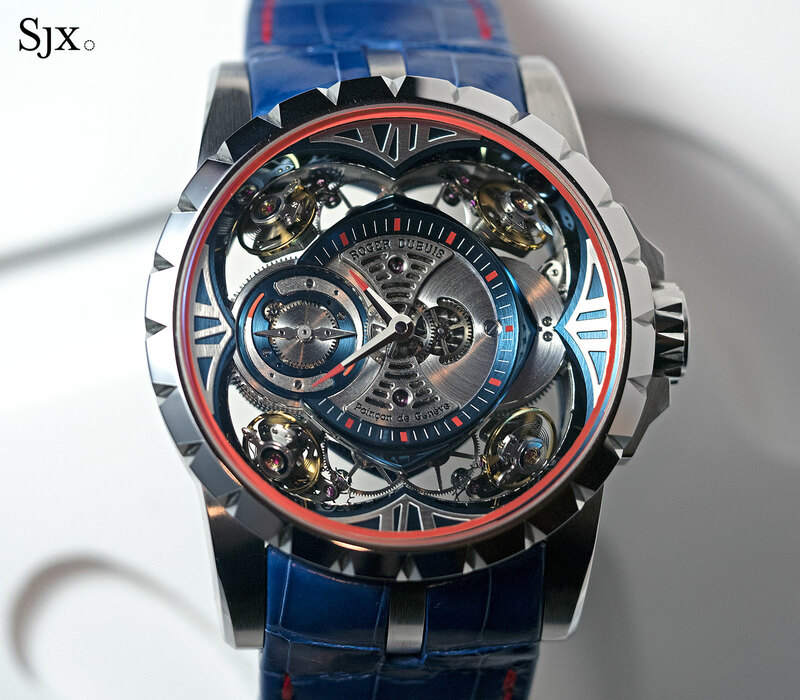 The Excalibur Quatuor Cobalt Micromelt is limited to eight pieces, priced at SFr390,000 or S$615,000. 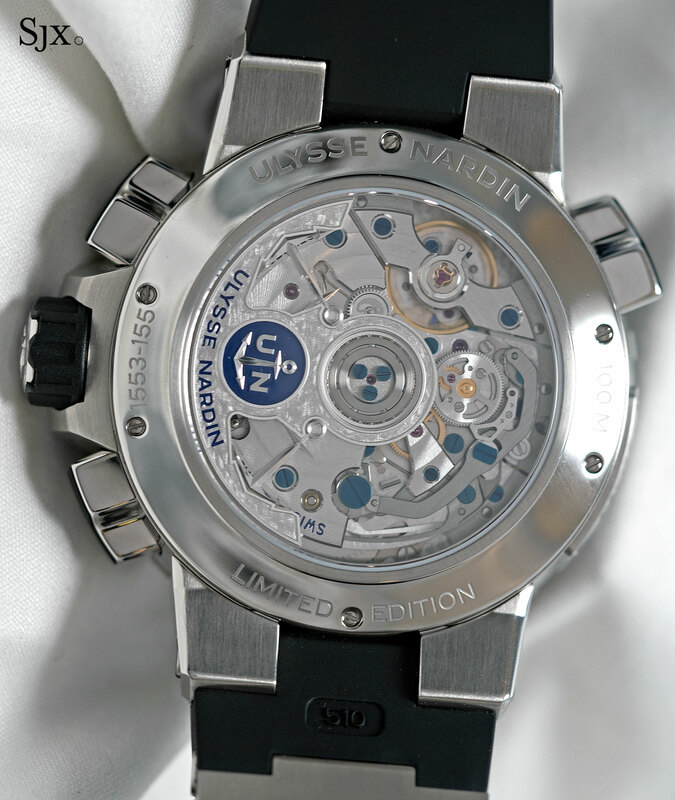 And the last of the new line-up is the Excalibur 36 Automatic in black DLC-coated titanium with a blue sapphire bezel. 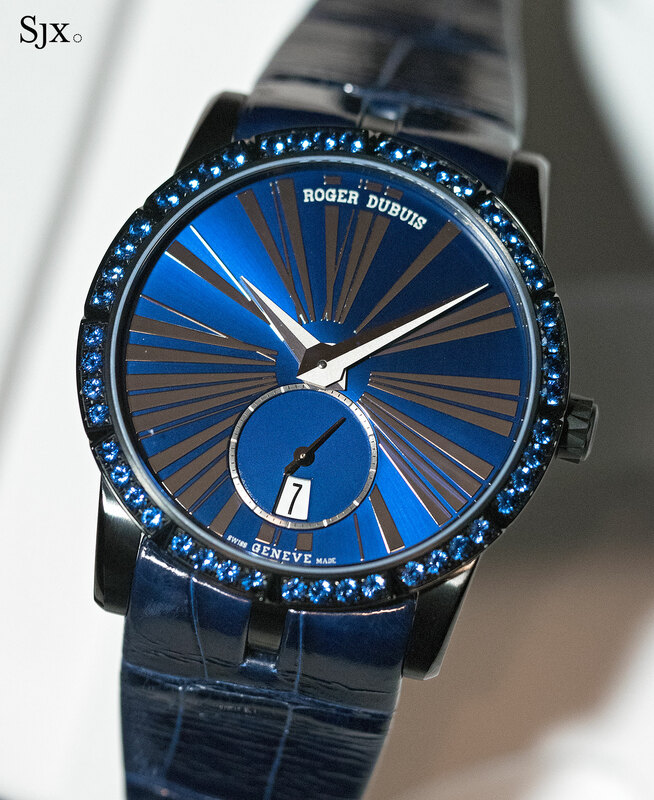 The 36mm case has 48 blue sapphires on the bezel to match the metallic blue dial that has oversized Roman numerals made of a thin layer of rhodium, giving it a look that’s novel and edgy for a ladies’ jewellery watch. 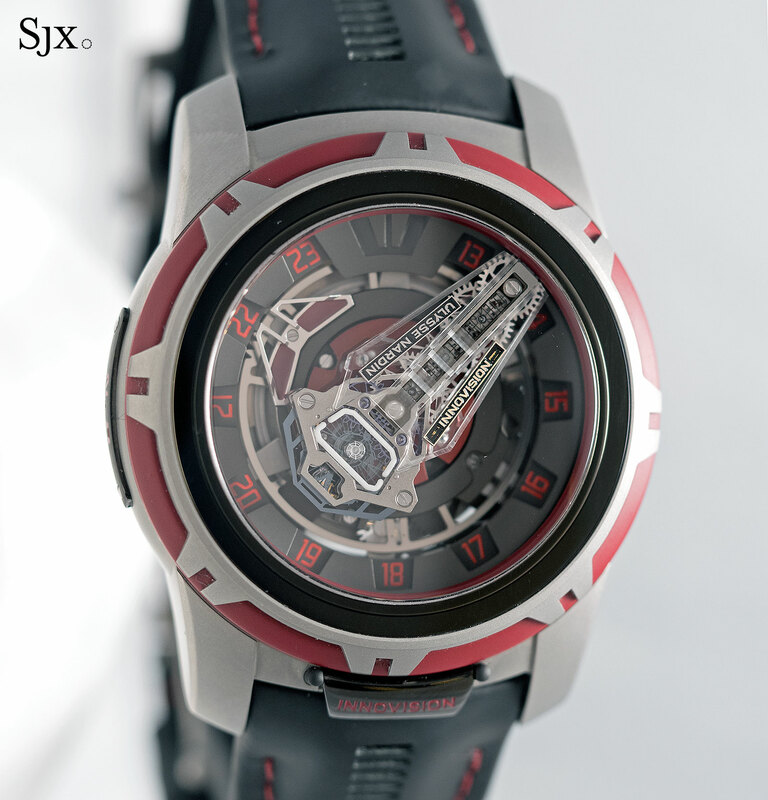 The movement inside is the RD830, an automatic with a 48-hour power reserve. This is limited to 28 pieces, priced at SFr17,000 or S$26,900.